Web copy is the core text on your website which informs readers of what they need to know about your brand. It is laid out on the main pages of your site, including your homepage, ‘About Us’ page, and ‘Products and Services’ pages. It also applies to your sponsored posts, including Email newsletters, social media ads, and PPC campaigns; it basically comprises any text you use to promote your brand and sell your products or services. Effective web copy is meant to reassure readers about your brand and convince them to take action. By using the appropriate text, web copy will convey your story, explain your concept, and create exposure. 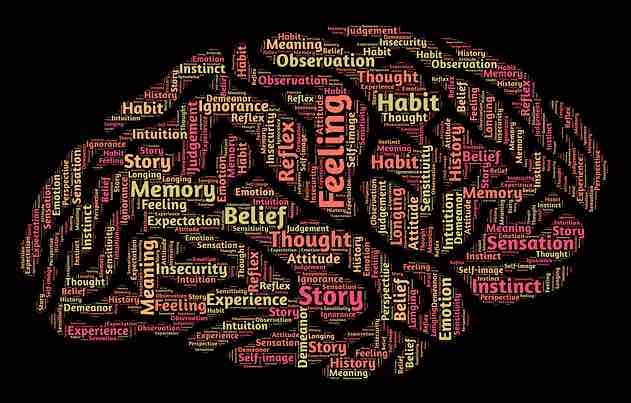 The secret behind creating engaging web copy lies in understanding the psychology of your web visitors. You should be able to speak to your prospects on a personal level via thoughtful, creative, and original copy. This means that a lot of effort should be put into copywriting, including thorough research and thoughtful editing, executed by professional writers and subject-matter specialists, so as to improve your SEO, grab the attention of your readers, and create a positive emotional response in them that leads to action. How does your web copy differ from your web content? The difference between web content and web copy confuses some. 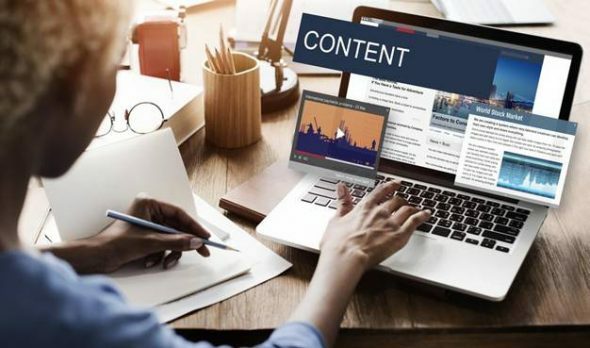 Whereas web copy is poised at the top of your inbound marketing funnel, web content can be found at the bottom of the funnel, near the end of the sales cycle; this is to further engender trust after the prospect has been familiarised with your brand. Good content marketing is what makes readers view the pages on your website and share using the appropriate links and social media. It adds to your SEO efforts and gets people invested in your brand. This is where a web content writer comes into play; they can create helpful, informative, and entertaining blog posts and articles relevant to your industry. When you can attract readers, you then have the opportunity to convert them to customers. Videos, infographics, podcasts, and other forms of media should also make up your web content. Outsourcing content is beneficial to keep up with publishing trends and ensure readers are constantly engaged. Knowing your expectations and communicating them clearly is the key to a productive outsourcing experience. Having pointed out the difference between web copy and web content, there are certain principles to keep in mind that will help you develop effective web copy. These principles are essential if you want to hook in prospects who visit your site and subsequently prompt them to take action. As mentioned above, having your digital copywriter employ the concepts of user psychology whilst developing web copy is the key to achieving reader conversion. You’ll need to find out what makes people tick and be able to break through any subconscious or conscious barriers that could hinder prospects from keying into your brand. People can come from various cultural backgrounds, but the way their minds work is always the same. Human behaviour is influenced on a subconscious level by emotional reactions. Although people like to believe that they are absolutely in control of their decisions and behaviour, the truth remains that a greater percentage of these decisions and behaviours are based on hardwired survival instincts. This is what’s known as ‘visceral reactions’. Visceral reactions are very similar across all demographics, genders and cultures, as they stem from genetic memory that is triggered when faced with factors such as danger, reproduction, or shelter. This can be exploited in your web copy to capture a broader audience. For instance, using words and imagery that imply safety and reassurance will put your readers at ease and make them react in a manner that suits you. People tend to be more comfortable when they can obtain the simplest explanation for the most complex of ideas. 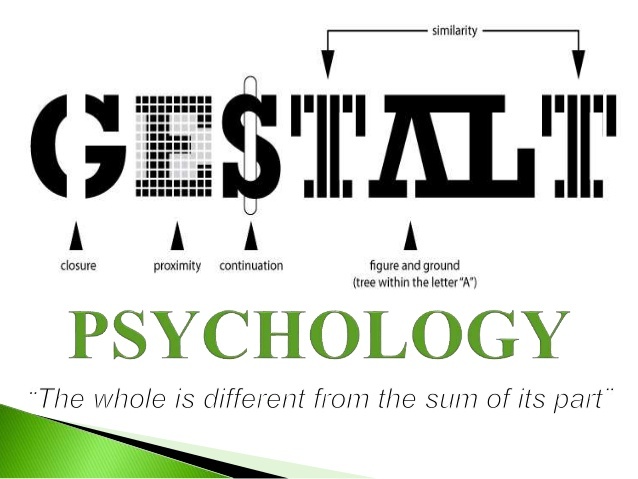 Gestalt psychology revolves around this concept and is an attempt to discover meaning in a seemingly chaotic world. Minimise the number of available options to save your readers the trouble of over-analysing. Over-analysis can subsequently lead to analysis paralysis, whereby a decision is never made. The secret behind creating aesthetically pleasing landing pages and home pages is observing the principle of cognitive fluency (or cognitive ease). Simplify your presentation. A simple background and the use of fewer words will work well. Readers can readily focus on your ‘Call-to-Action’ (CTA) when you remove the distractions. Facilitating the process of information assimilation in your web copy will make your audience feel positive about your brand. The mind should not be bombarded with excessive data. Visual salience is the perceptual quality that makes items or entities stand out in a group and grab attention. You can apply this principle by finding ways to make the most salient elements on your pages stand out from everything else. Marketers have found that the way in which colour is used has a huge impact on users’ response to CTA’s. People are bound to return the favour when treated with consideration and made to feel special. For instance, an experiment was conducted to increase restaurant tipping. There was a 20% increase in tips when customers received their bills along with dinner mints, having been told by the waiter that the mints were provided especially for them. 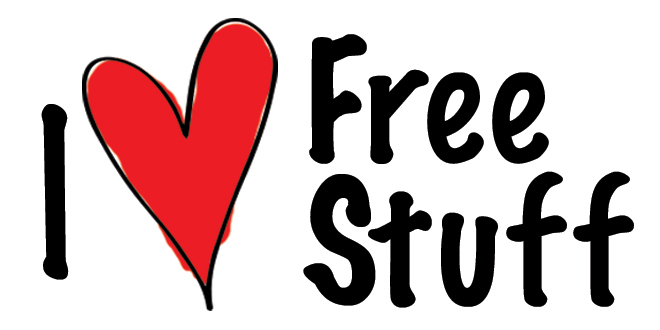 You can apply the principle behind this in developing your web copy by offering something of value for free. This could be in the form of discount codes or free eBooks. You can make it easy for your web readers to respond to your CTA when you set small requirements. Readers fail to respond when they feel like too much is being demanded of them. For instance, during a fundraiser for cancer patients, it was discovered that more donations were made when the request read ‘Would you be willing to help by giving a donation? Every penny will help’ than when it read the same, without including the phrase ‘every penny will help’. This principle is loosely related to the cost-benefit analysis principle, where it’s been discovered that people will consider taking action only when the perceived value of the potential reward is directly correlated to the perceived difficulty in taking action. Therefore, if the process of moving towards an action is considered demanding when compared to the promised reward, users will likely reject the offer. Make your copy easy to read and don’t make your call to actions focus on huge steps; lead visitors through a sales funnel where they take steps towards conversion. 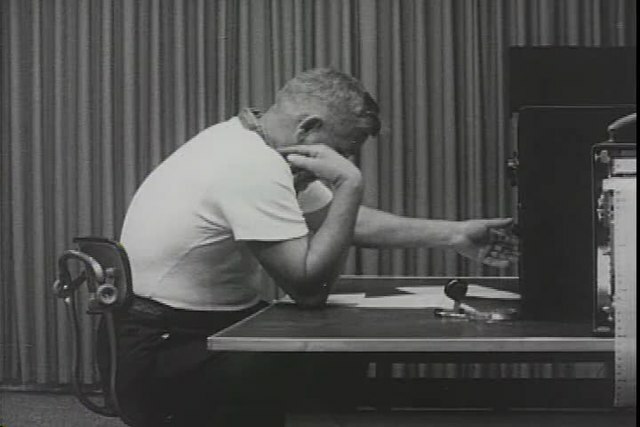 The Milgram principle is based on the idea that people will always hold in high regard those individuals whom they consider to be authorities. Leveraging on the authority of established and trusted brands can motivate your readers to take action. This could be in form of including testimonials or direct endorsements. Even adding logos or trust marks on your page can dramatically increase conversions. Incorporating words such as ‘immediately’, and ‘instantly’ in your web copy is a highly persuasive technique. They make your prospects feel like they don’t have to wait too long before they can reap the benefits. Life is short and people would rather get results today than wait until tomorrow. The readiness and speed of information availability and dissemination – brought about by a digitalised lifestyle – has conditioned prospects to lose interest after only eight seconds of not being adequately engaged. By highlighting what users will be missing out on if they don’t key in with your brand (rather than what they would gain if they do), you will likely achieve more conversions. People always tend to take losses more seriously and will subsequently work harder to avoid suffering a loss than making a gain. The human mind is such that when a certain amount of information has been obtained, more details can’t be taken on board until the brain has properly absorbed and stored what has been already received. Taking in new information requires effort, focus, and energy; if your readers are overwhelmed by what they are processing they will start to skim over the words and potentially ignore or miss out on the messages you really want them to process. You might not need to cut down on the amount of information you present via your web copy. All you may have to do is provide the information in small increments. This is referred to as ‘progressive disclosure’. It will keep your readers from being overwhelmed and help them retain all the information provided in your copy. For instance, breaking up 5,000-word copy into 10 parts that are uniquely distributed will make it easier for your users to assimilate and not be overwhelmed. Overwhelming your readers can lead to a high website bounce rate. In 1961, Daniel Ellsberg conducted an experiment where he asked participants to choose between two jars, each containing red and black balls. They were then instructed to bet on a colour and pick a ball from the jar they chose. The first jar contained red and black balls in a 50/50 ratio, while the second jar had an unknown ratio. Almost all of the participants chose to pick from the first jar that contained the red and black balls in a known ratio. People always prefer to have certain information before they go ahead and make a decision. It’s therefore prudent to be as transparent as you can when writing your web copy. Be clear on your offer and leave nothing to the imagination. Positive results are far more likely when you incorporate these psychological principles into your web copy. By trying them all out (or even just a few of them), you can find a combination that works for you and be able to achieve better web copy that converts more visitors to customers.